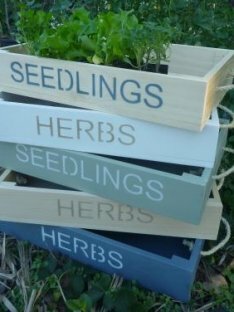 Grow with the flow using these rustically stencilled Painted Seedling and Herb Trays. Seamlessly transfer raised seedlings to the garden or fill with potted herbs to bring a table centrepiece to life. Bring on dinner party season!